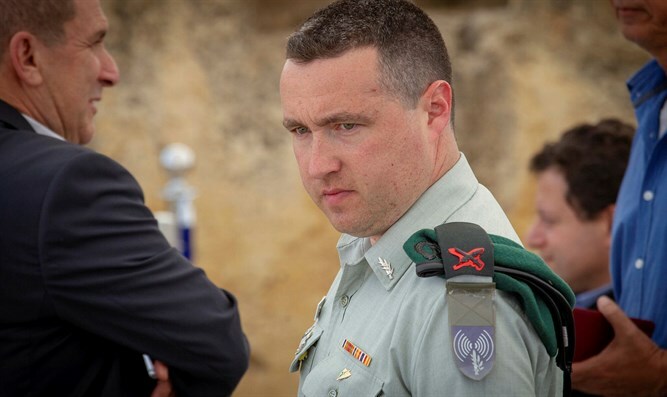 IDF Spokesperson Brigadier General Ronen Manelis spoke Tuesday afternoon at the Foreign Affairs Committee of the French Parliament during a discussion on Hamas terrorism from Gaza. "Hamas invented a new weapon that looks like children's toys, costs one euro, but caused the burning of more than 30,000 dunams of fields," General Manelis said. "As a spokesperson, I understand the power of the image and the difficulty in understanding the situation from remote coverage. These facts are exploited manipulatively for Hamas, which exploits the human compassion of the West for inhuman purposes." "What is happening on the Gaza-Israel border is not like the demonstrations you know. Israel is on the front-line of this war - it is not the last line. The terrorist organizations will not stop in Israel. They want to strike Paris, London, New York, Mali, Buenos Aires, and wherever they can sow fear and return darkness to the cities of light. "Do not fall into the trap of Hamas - this is a military terrorist organization for all intents and purposes, and to this day it has killed many people in bus bombings and terrorist attacks, which unfortunately, you experienced in 2015-2016. We are dealing with the same phenomenon - for us this is the Hamas terror organization, for you it is ISIS. "Hamas uproots this important value and sanctifies its values ​​in terms of death and destruction. The only thing that Hamas has signed is the establishment of a military force with the support and assistance of the global terrorist leader - Iran." Manlis referred to the soldiers who have been held by Hamas since 2014. "No Israeli citizen has lived in Gaza voluntarily since 2005. But Hamas has two fallen soldiers from the IDF, Hadar Goldin and Oron Shaul, and two Israeli civilians held there as hostages. This should be enough to understand that this is an organization that ascribes no value to human life. It is an organization that has long since lost its humanity and is acting against all international treaties."